First of all, let’s show a recovering Dave this evening, happy after a Panera sandwich and chocolate brownie. My poor guy had to go 36 hours without food. While that stinks for most people, those who know Dave well can imagine how it must have been for him. He’s recovering normally (i.e. very sore for the first 48 hours) and we’re looking forward to him coming home tomorrow afternoon. He reports that he’s been walking around and not feeling the pain he’d had in his legs for the past 2 years! Because his procedure was moved to Halloween day, the family’s Halloween plans had changed considerably. We didn’t carve our pumpkin, I didn’t wear any more of my costume this year than the hat at a spouses’ club luncheon 2 weeks ago, and I sadly had to unplug the ghost light timer from our front porch since no one would be home to give out candy. 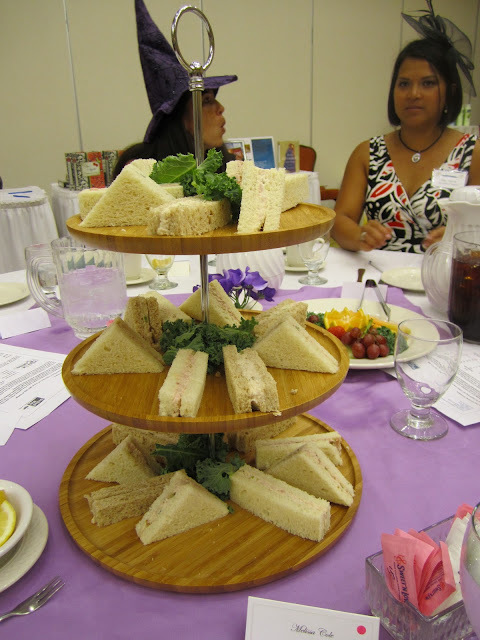 The picture is supposed to be of the tiered sandwich platter, but you can see me in the background in my purple witch’s hat looking witchy. After Dave went to the recovery room and we could visit briefly with him, the boys and I enjoyed a short trick or treat trip at Hurlburt Field’s base housing area, thanks to an invitation from Dave’s squadron’s 1st Sergeant. 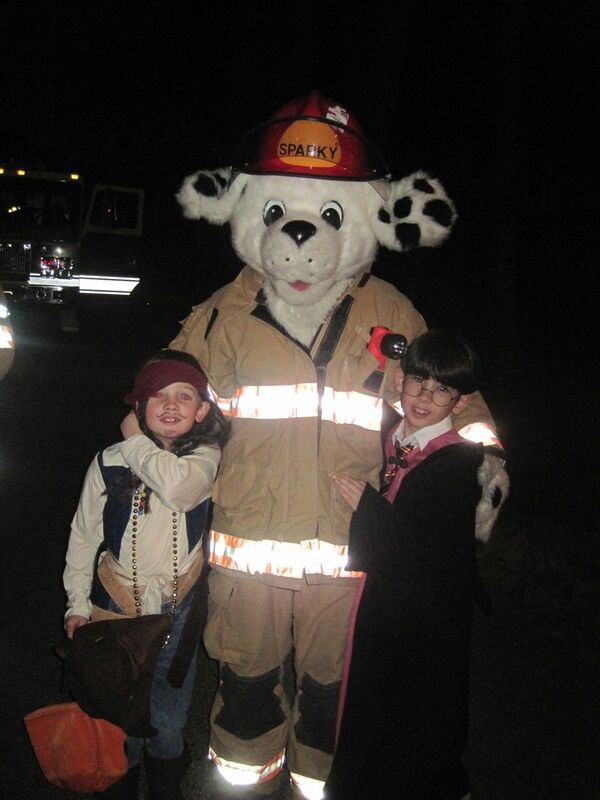 Katrina had invited a couple of families of deployed over to her place so we could experience a safe, traditional trick-or-treat experience. Even though it was a short trip, and by the time we started many houses had run out of candy, the boys had a very nice time and ran into a number of their friends — who didn’t live in base housing either. 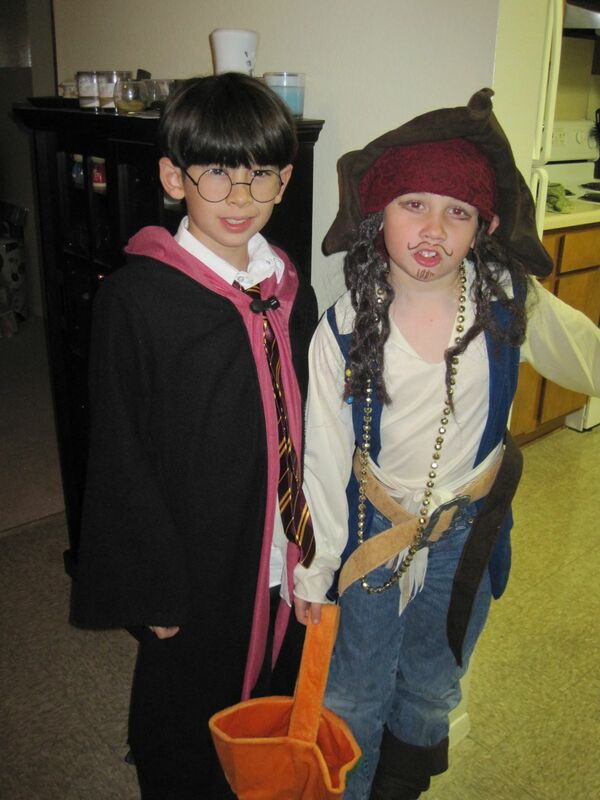 On Sunday Jacob went to a Halloween-themed birthday party. Jacob has a rubber rat in his hand, who he’s named Scabbers. He’s with his classmate William, dressed as Link from The Legend of Zelda. 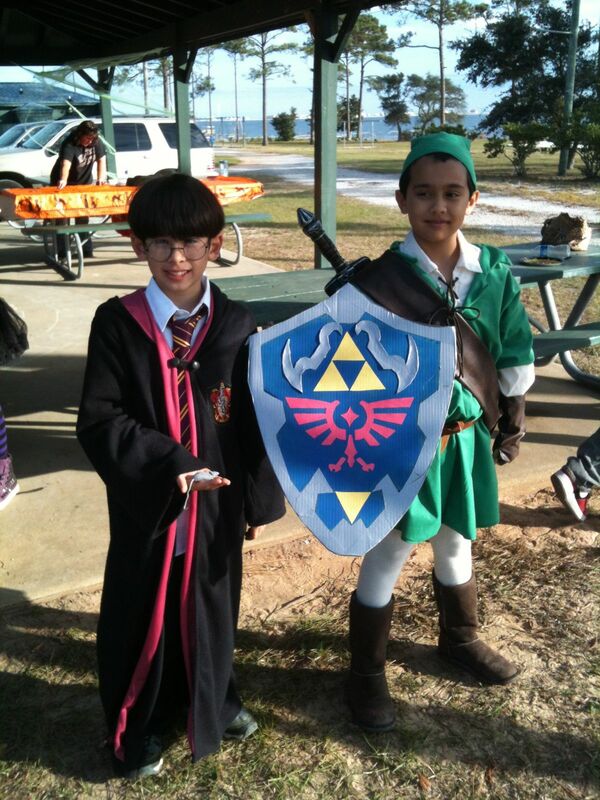 His Mom did a great job with the tunic, hat and shield! Timmy and one of his classmates he ran into while trick or treating. The kids enjoyed seeing the elaborate decorations. This house turned their entire — and I mean ENTIRE — front yard into a haunted cemetery! The boys loved checking it out.